They always drop a teaser / trailer for the latest Star Wars at the Celebration panels and I imagine this year will be no different. Buckle up, Episode IX is coming! "With the culmination of the Star Wars Saga arriving before the end of the year, the Star Wars: Episode IX panel... Read All They always drop a teaser / trailer for the latest Star Wars at the Celebration panels and I imagine this year will be no different. Buckle up, Episode IX is coming! "With the culmination of the Star Wars Saga arriving before the end of the year, the Star Wars: Episode IX panel is one you will definitely not want to miss! With Lucasfilm President Kathleen Kennedy and Star Wars: Episode IX director JJ Abrams appearing on stage, you can count on plenty of surprises and special guests to keep your imagination buzzing for the rest of Celebration! Live on the Celebration Stage; streamed to the Galaxy and Twin Suns Stages."" I'm surprised we haven't gotten a teaser or anything yet. So many rumors back at the end of 2018 and we kinda thought, yeah it's about time for it I guess. "On April 10, classics Super Mario Bros.: The Lost Levels, Punch Out!! featuring Mr. Dream, and Star Soldier join dozens of other NES games as part of the Nintendo Entertainment System – Nintendo Switch Online collection." "On April 10, classics Super Mario Bros.: The Lost Levels, Punch Out!! featuring Mr. Dream, and Star Soldier join dozens of other NES games as part of the Nintendo Entertainment System – Nintendo Switch Online collection." Borderlands is getting a 4K remastered edition with some all new features. Add it to your calendar and then shoot bandits in the face. https://cheerfulghost.com/jdodson/posts/4057/borderlands-and-borderlands-2-are-getting-a-4k-re-release-wub-wub Borderlands is getting a 4K remastered edition with some all new features. Add it to your calendar and then shoot bandits in the face. In season 3 of Cheerful Ghost Radio, we are starting our NES Classic reviews with Super Mario Bros. 1-3. Next time we record, we'll be finishing up the series with Super Mario Bros. 3! Come play the game and discuss it with us, and we’ll include your thoughts in the episode! ... Read All In season 3 of Cheerful Ghost Radio, we are starting our NES Classic reviews with Super Mario Bros. 1-3. Next time we record, we'll be finishing up the series with Super Mario Bros. 3! Come play the game and discuss it with us, and we’ll include your thoughts in the episode! 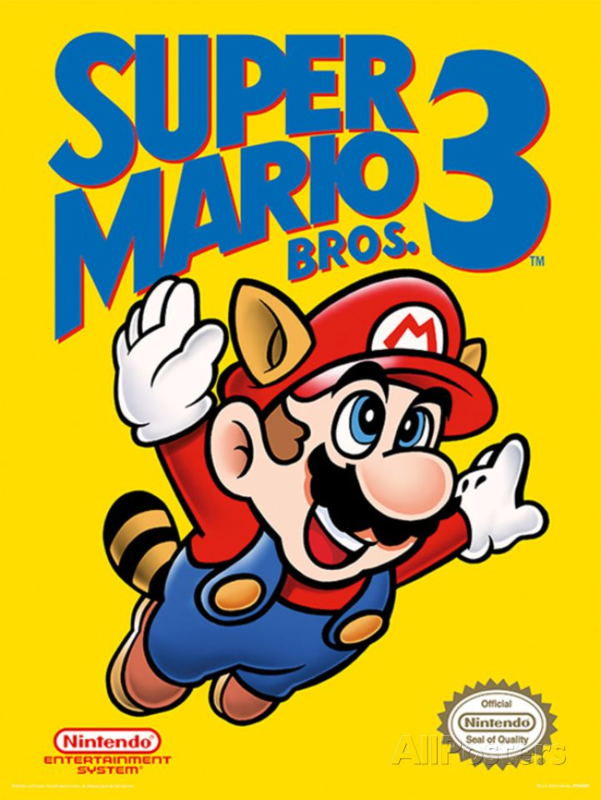 Super Mario Bros. 3 was the last game on the NES, and it pushed the system and the series to new heights with the new feature set, improved graphics, and new elements. The third game introduced some Mario series staples, like the overworld, power-ups you could use outside of gameplay, and bonus levels, and brought some new characters and enemies that are still around today. Come play Super Mario Bros. 2 with us over the next couple weeks and share your thoughts about it, and we'll discuss your thoughts on air. Dude how could we not? Honestly Adam, I'm glad you mentioned that because I honestly forgot. PLEASE DON'T TAKE AWAY MY NERD CARD!!!! I was hoping/planning for a full on segment about The Wizard! I might need to track down the Wizard. I don't think I've seen that movie since I was like 10. The Super Mario Bros. 2 we know... Read All In season 3 of Cheerful Ghost Radio, we are starting our NES Classic reviews with Super Mario Bros. 1-3. 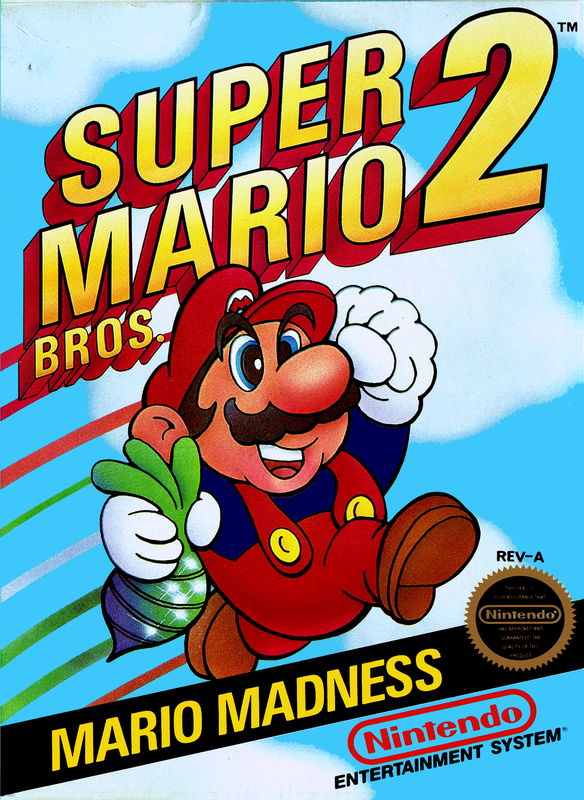 Next up is the first sequel, Super Mario Bros. 2! Come play the game and discuss it with us, and we’ll include your thoughts in the episode! Toad is the best, don't @ me. I use him only for the 1-2 stage. He picks up stuff so fast it's one of the best ways to get all the coins such that you can have a pretty nice amount of random slot pulls to get a few extra lives. That said, my chance with that game is terrible and I'm lucky if I get anything at all. I use the princess almost exclusively. The glide is amazing. Yep. There are only two times I use other characters and if you want to know what the other one is you will have to WAIT TO HEAR IT ON CHEERFUL GHOST RADIO! Unless you want to know earlier and just text me and i'll tell you. Cheerful Ghost Games Club: Super Mario Bros. In season 3 of Cheerful Ghost Radio, we are starting our NES Classic reviews with Super Mario Bros.! Come play the game and discuss it with us, and we’ll include your thoughts in the episode! Super Mario Bros. is a game that needs no introduction. The first game of the Super... Read All In season 3 of Cheerful Ghost Radio, we are starting our NES Classic reviews with Super Mario Bros.! Come play the game and discuss it with us, and we’ll include your thoughts in the episode! Super Mario Bros. is a game that needs no introduction. The first game of the Super Mario series, it captured the hearts and minds of millions and spawned the multiple Mario series that are still going strong today. This is the first in a three-part series about the Super Mario Bros. games on the NES Classic, so watch this space! We’ll have events for Super Mario Bros. 2 in February and Super Mario Bros. 3 in March! Hahahahaha. Good thing your CPU is old because your in luck, Super Mario Brothers runs on a Ricoh 2A03 8-bit processor! Cheerful Ghost will be at Portland Retro Game Expo October 19th - 21st at booth 619! Swing by and check out our booth and swing by to play in one of our four tournaments running all weekend! Our friends at Game Devs Quest will be with us on Saturday so make sure to talk to... Read All Cheerful Ghost will be at Portland Retro Game Expo October 19th - 21st at booth 619! Swing by and check out our booth and swing by to play in one of our four tournaments running all weekend! 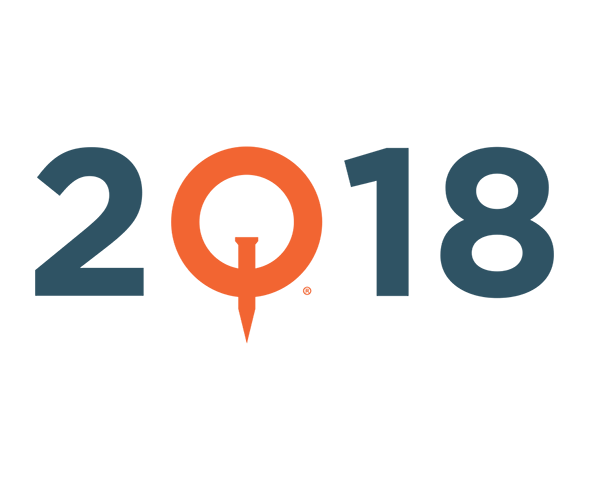 Our friends at Game Devs Quest will be with us on Saturday so make sure to talk to them about their journey to game dev stardom! This weekend we will be running the following tournaments(rules will be posted closer to the event). Cheerful Ghost Games Club is back with Metroid! In season two of Cheerful Ghost Radio we are doing bite-sized NES Classic review episodes. We want to make you all part of these episodes, so join this event to get in on the discussion for our next NES Classic review, Kirby's... Read All Cheerful Ghost Games Club is back with Metroid! In season two of Cheerful Ghost Radio we are doing bite-sized NES Classic review episodes. We want to make you all part of these episodes, so join this event to get in on the discussion for our next NES Classic review, Kirby's Adventure! We'll review Metroid in an episode following the event, and include opinions and commentary from people who joined and chatted with us about it. Metroid is an action/adventure game developed by Nintendo in 1986, and along with Castlevania spawned the metroidvania genre of action/adventure games. Metroid follows our hero, Samus, as she navigates the alien world of Zebes. The combination of platforming, upgrades, and exploration made Metroid a major hit, spawning sequels on nearly every console and handheld since. Just to let everyone know, I attempted a "blind" run the other day. No guide, no map, nothing. I just dove in to see how much I remember. Spoiler alert: Not much. I got the morph ball and then died a bunch, lol. Yep, I did the same thing tonight Tim, with basically the same results lol. I got a couple rocket upgrades. Friday is the keynote presentation for Quakecon. The keynote will cover Quake Champions, Rage 2, and The Elder Scrolls Online, and reveal the first gameplay footage of Doom Eternal. Join the event and add it to your calendar! https://www.twitch.tv/bethesda Friday is the keynote presentation for Quakecon. 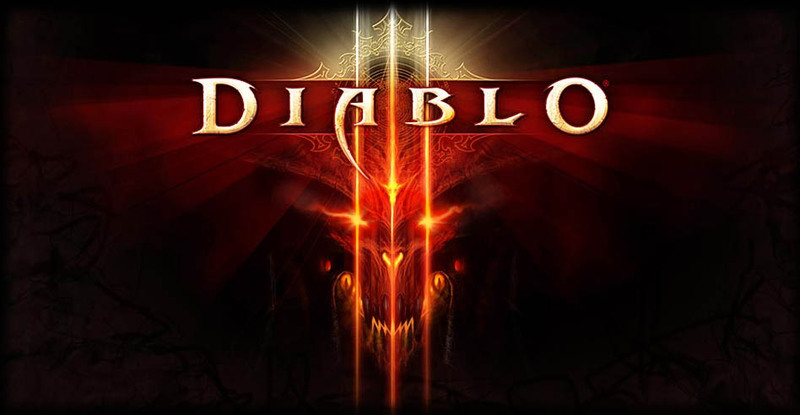 The keynote will cover Quake Champions, Rage 2, and The Elder Scrolls Online, and reveal the first gameplay footage of Doom Eternal.